SPECTRA features innovative & award-winning poets from across the country with Quad Cities-based poets & writers at Rozz-Tox (2108 3rd Avenue Rock Island, IL), unless otherwise indicated. 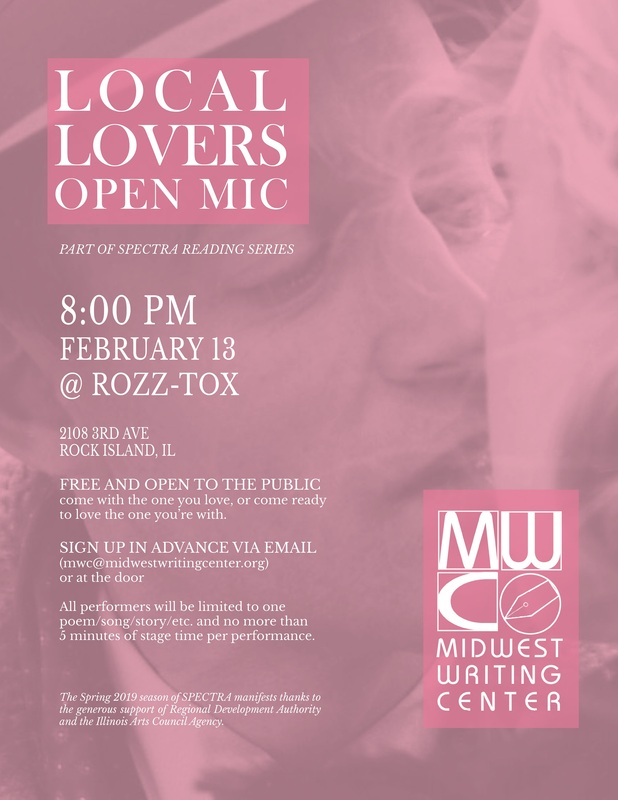 Local Lovers Open Mic Returns to Rozz-Tox 2/13! Matt Mauch is the author of Bird~Brain, If You’re Lucky Is a Theory of Mine, Prayer Book, and the chapbook The Brilliance of the Sparrow. His poems have appeared in numerous journals, including Conduit, The Journal, DIAGRAM, Willow Springs, The Los Angeles Review, Forklift, Ohio, Sonora Review, Water~Stone Review, and on the Poetry Daily and Verse Daily websites. A Minnesota State Arts Board Artist Initiative Grant recipient and National Poetry Series finalist, Mauch leads the staff at Poetry City, a journal of poetry and prose on poetry, and lives in Minneapolis, where he teaches in the AFA in Creative Writing program at Normandale Community College and in the MFA in Poetry program at Concordia University, St. Paul. 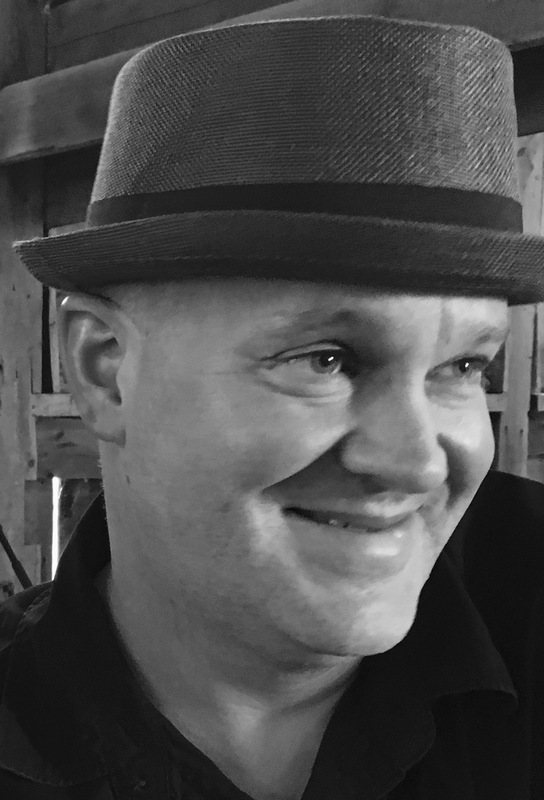 Kyle McCord is the author of six books of poetry including National Poetry Series Finalist, Magpies in the Valley of Oleanders (Trio House Press 2016) and X-Rays and Other Landscapes (Trio House Press 2019). He has work featured in AGNI, Blackbird, Boston Review, The Gettysburg Review, The Harvard Review, The Kenyon Review, Ploughshares, TriQuarterly and elsewhere. He has received grants or awards from The Academy of American Poets, The Vermont Studio Center, and the Baltic Writing Residency. He serves as Co-Executive Editor of Gold Wake Press. He teaches at Drake University in Des Moines where he lives with his wife, visual artist Lydia McCord, and son, August. 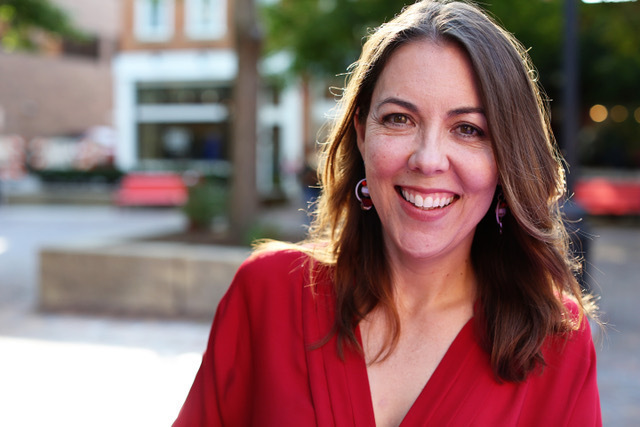 Sara Wainscott is the author of Queen of the Moon (dancing girl press, 2017). Her work appears in DIAGRAM, The Journal Petra, Powder Keg, BOAAT, Fairy Tale Review, The Collapsar, Dream Pop Journal, and elsewhere. As a former co-curator of the Wit Rabbit Reading Series, she appears on New City’s 2017 “Lit 50” list of people who influence literature in Chicago. Becca Klaver is the author of two books of poetry—LA Liminal (Kore Press, 2010) and Empire Wasted (Bloof Books, 2016)—and several chapbooks. 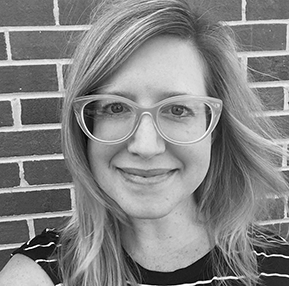 Black Lawrence Press will publish her third full-length collection, Ready for the World, in 2020. 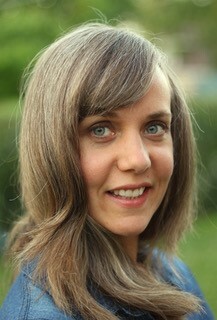 Her poems, which explore place, gender, American culture, and virtual and physical realities, have appeared in The American Poetry Review, Fence, jubilat, Gramma Weekly, The &NOW Awards 3: The Best Innovative Writing, and on Verse Dailyand Poem-A-Day. The 2018-2020 Robert P. Dana Emerging Writer Fellow at Cornell College, she currently lives in Iowa City, IA. 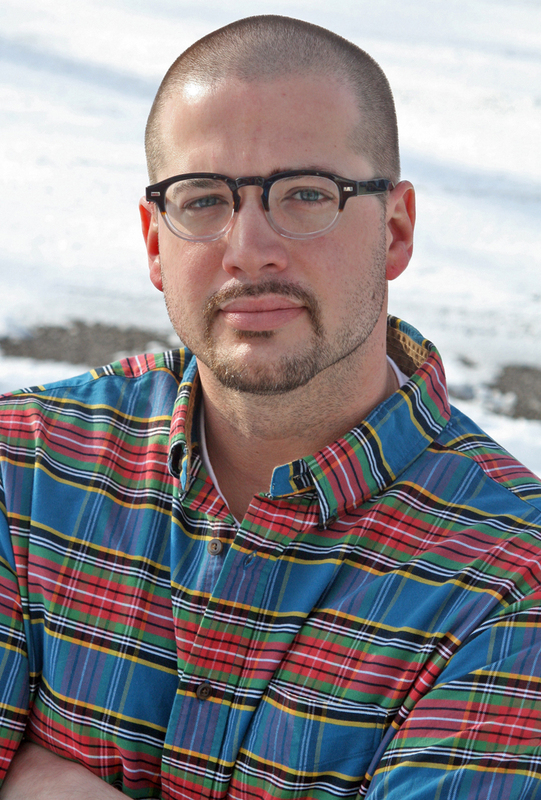 Chad Simpson is the author of Tell Everyone I Said Hi, which won the 2012 John Simmons Short Fiction Award and was published by the University of Iowa Press. His work has appeared in over sixty print and online publications, including McSweeney’s Quarterly, Esquire, American Short Fiction, and The Sun. He lives in Monmouth, Illinois, and is an Associate Professor of English at Knox College. 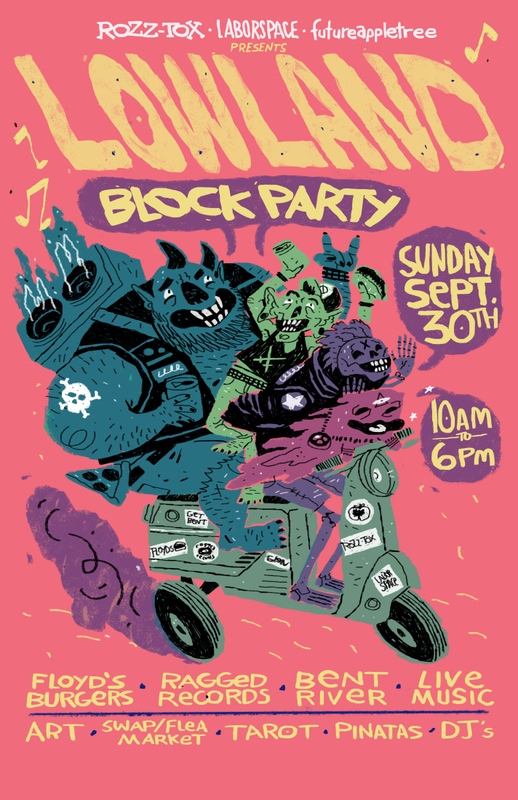 Then, on Sunday, September 30 at 11am, join Matt Hart at the Lowland Block Party for POETRY CHURCH–part poetry reading, part punk rock prayer of your immortal soul, all fire. Hart will be joined by Skylar Alexander, Ryan Collins & more readers TBA. the Regional Development Authority and the Illinois Arts Council Agency.